Peachy is our newest addition to the family! Prince is not sure what to think of his new sister yet. 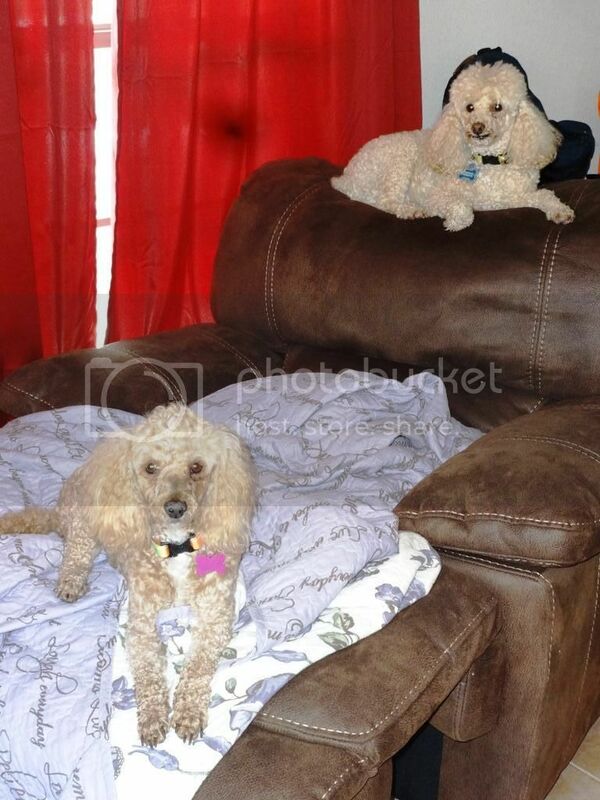 Both are rescued mini poodles and both were unclaimed stray dogs. Seeking out a good food for Prince (who we adopted in 2011) is what led me to DFA! 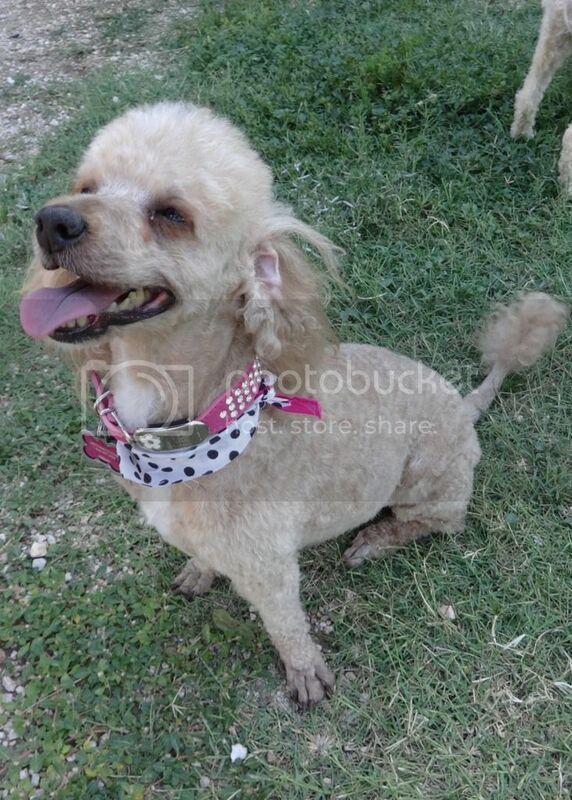 Awww, and here is her sad “intake photo” at the rescue. She is so full of joy and happiness. It is hard to understand why her old owners let her get into this shape. Last pic! Peachy is getting used to being indoors and has quickly taken to all the comforts of being a spoiled and beloved pet. Thank you Jackie B. for giving Peachy (and Prince, of course) the much love she so richly deserves. Why her previous owners let her get the way they did and then let her go is the question we ask ourselves day in day out. Some people (and here I use the term loosely) can be a strange cruel breed. Do you know how old she is and/or how long she was stray? Always heartbreaking to hear these stories but love it when they end with a loving home. This reply was modified 4 years, 10 months ago by Dori. Poor Peachy, so glad you have her. Peachy is a lucky pup!!! Thank goodness she found you!! Thanks everyone. Dori, Peachy is about 2 years old, we think. She has some plaque on her teeth but is SO puppy-like in her energy and behavior. I do not know how long she was a stray… the person who found her picked her up out of the middle of a street. She was not spayed or microchipped (the city she was found in requires that all pets be altered and microchipped) and sadly was heartworm positive when rescued 🙁 The rescue treated her with the fast kill method and we will be retesting soon to confirm that she is now heartworm negative. Prince was 5 when we got him and was in better shape physically than Peachy. I think someone cared more about Prince as he was also housetrained. 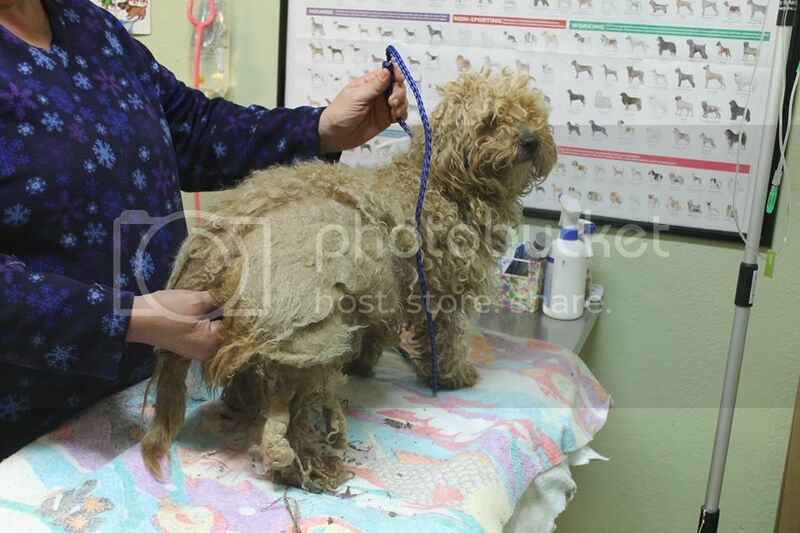 He was also a matted stray but someone had put a tattered, faded Harley jacket on him (his shelter name was Brando thanks to the jacket– the different woman who found him also running in the street had just watched “A Streetcar Named Desire”)! Peachy is not housetrained (we are working on it, and she is catching on faster than a puppy at least), not leash trained, and knew no commands of any kind. Luckily she is naturally very gentle with Prince and seems ready to learn to be an inside dog. This reply was modified 4 years, 10 months ago by Jackie B.
Jackie. I’m so glad she has joined your family. Lucky you and lucky Peachy and Prince. Love Streetcar Named Desire by the way. What lucky dogs!! 🙂 Peachy must of been so happy to find her way to a shelter, then into your arms. I love reading these happy stories. Peachy is settling in! Her housetraining is mostly complete. 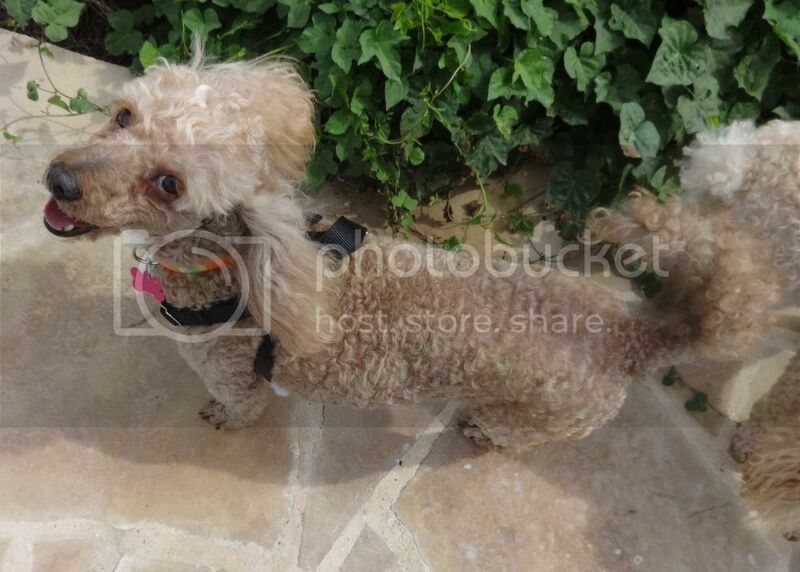 She has learned sit and loose leash walking and is in a basic obedience class for other skills. 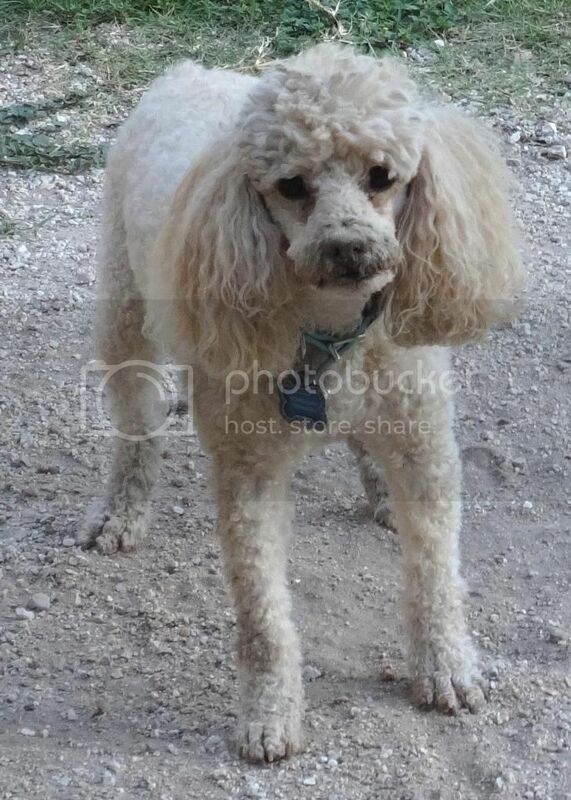 Having her around has really perked up my older rescue poodle, he is eating more regularly and is chewing on chewies and playing more. They are still not best friends yet, my older one treats Peachy like an annoying little sister. But I think that things are going really well. In 2 weeks we go in to recheck that her heartworms are really and truly gone. This reply was modified 4 years, 9 months ago by Jackie B.
Oh yes, she also taught my older poodle to roll in the dirt!!! 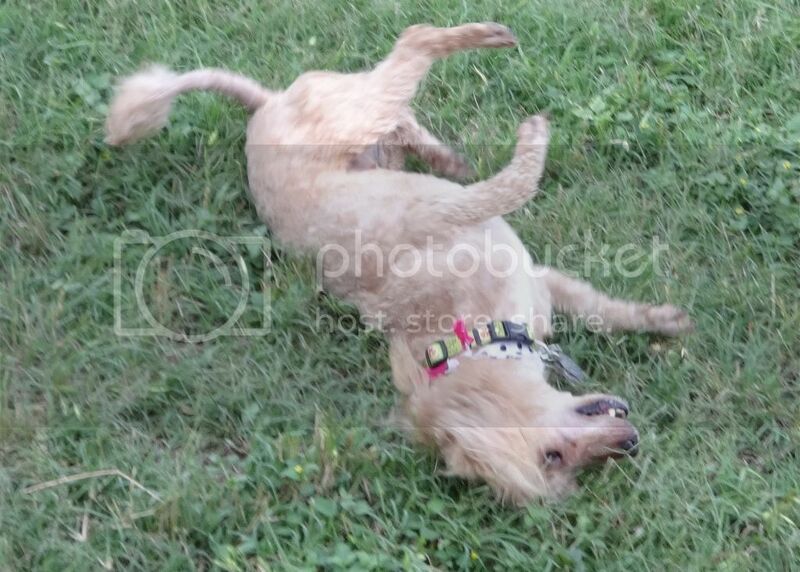 Nothing like rolling in the grit, grass, and dust to get rid of that “just bathed” smell. She is looking good, Jackie B. Nice job! Jackie B. They are both so so lucky to have found you. They look fabulous. It breaks my heart thinking about the privileged lives our dogs live and knowing that there are so many dogs out there like Peachy looking for love, shelter, food and a kind word. Bless you! Awesome Jackie B!! She looks so darn happy now. Great job you are doing and thank you for adopting! The test results showed heartworm negative! And she has a strong heart and lungs. Peachy does have a hernia that was not noted on any previous records, and the vet said that while it is not an emergency now it will need to be repaired at a future date (possibly during a dental or other procedure). 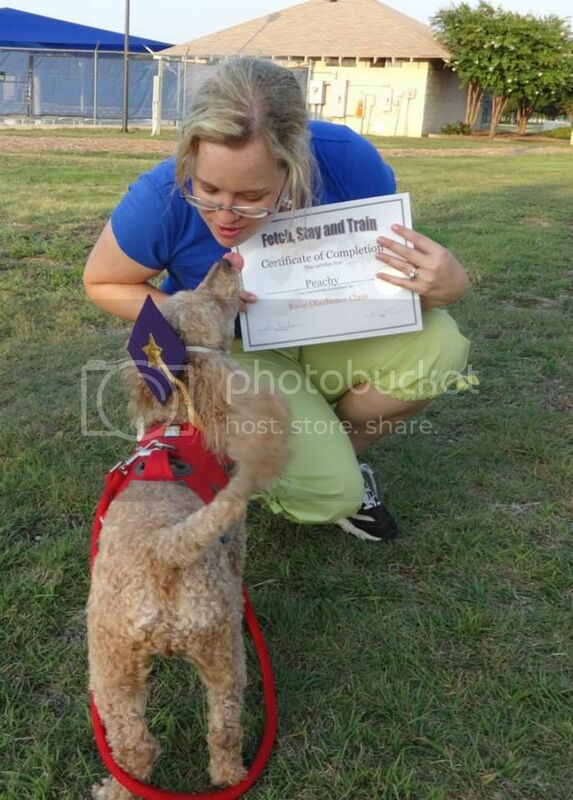 Also, Peachy graduated from basic obedience class. She is 90% on housetraining, can walk on a loose lead, sit, kiss, stay, watch me, touch, and is working on down and paw. 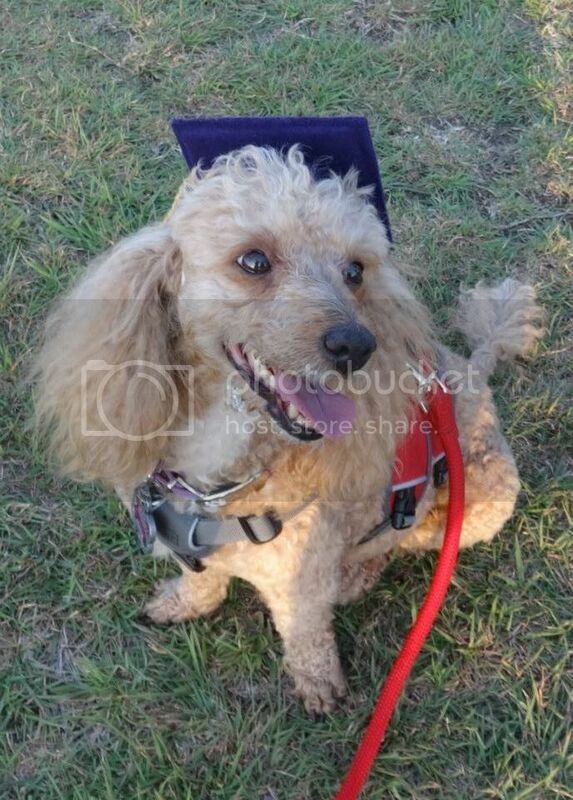 She is a smart little dog, and very full of joy. OMG, she has a cap on! LOL! Congrats, Peachy! Such good news all around. YEY! Happy for you and Peachy.